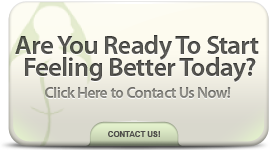 Are You Looking for a Trusted Orlando Accident Doctor and Chiropractor? If you’ve recently been in an auto accident, Doctor Fulmore of Fulmore Chiropractic is Orlando’s most trusted source for caring, expert relief from neck and back pain. Seeking chiropractic treatment after an auto accident is one of the most important things you can do for your health, and yet many people neglect to take this crucial first step towards recovery. The symptoms we most commonly see after car accidents include whiplash and neck pain. The back can also be a secondary site for whiplash, resulting in lower back pain. Soreness or stiffness in the neck or back may be the first signs of injury after an auto accident. This initial pain may be minor, but it can also be a small part of a much larger problem. For many, a little bit of stiffness or soreness doesn’t seem to warrant a trip to the doctor. If the accident was minor or there was no damage to your vehicle, you might also believe (or convince yourself) that you’re fine, too. Going through an auto accident is traumatic enough as it is, and it’s perfectly understandable that victims want to move past it as soon as possible. But the biggest mistake we see people make is to neglect to seek treatment immediately following an accident. We’ve had countless patients come to us with serious, debilitating pain that began suddenly, appearing months or even years after an auto accident. Many chose to ignore or “fight through” any initial pain they experienced, often having used medication as a Band-Aid. But this only serves to mask a larger problem. When the spinal muscles or ligaments are strained in an accident, these tissues take time to heal. The problem is that your spine may also be misaligned after the accident. Without Chiropractic treatment, these tissues and ligaments will be healing over a damaged, misaligned spine. Over time, this can result in bigger problems and even worse pain. Chiropractic intervention is needed in order to correct the misalignment and put everything back in its place. Only then can your body, mind and spirit begin to properly heal. Other patients we treat had no pain at all following their accident, and didn’t realize how seriously their spine had actually been injured. In fact, many people don’t experience any pain in the moments immediately following a car accident. But most of the symptoms people suffer from after an accident don’t start right away, and often not until 48 to 72 hours later. Some symptoms may take weeks, months or even years to appear, and by then the damage may be permanent and the pain becomes difficult to manage. We hate to see our patients in such pain, especially when it can be so easily corrected and managed with a prompt visit to an Orlando accident doctor who truly cares about their health. We’ve seen it happen too many times, and it simply isn’t worth the risk; even after a minor auto accident, it is so important to seek treatment from a caring, knowledgeable chiropractor. Not just for your sake, but for the sake of your family and anyone else who depends on you to be in control of your health and your life.